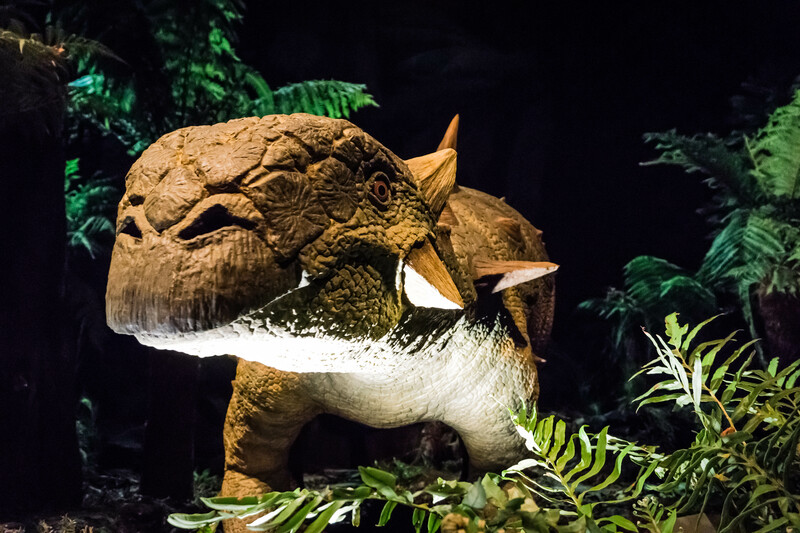 Did you know that if you venture deep into the Cornish countryside during July and August you can walk with dinosaurs? I wrote about the Eden Project last year (read the post here) about how it is a great place to visit if you are interested in biology or the environment. Eden is great at any time of the year, but during the summer holidays it becomes a mecca for all of those dino-crazed children, which, if my Facebook newsfeed is anything to go by, there are quite a few of. I visit Eden every summer during my annual trip back to the homeland, and each time I go I experience something new. One year it was the rare blooming of the horrendous smelling ‘Corpse Flower’. This year it was an invasion of dinosaurs! Approaching Eden, we could see large signs warning us not to approach the dinosaurs, because those things are dangerous! Eden certainly knows how to tease the audience, and they increased the tension the further we ventured into the park. 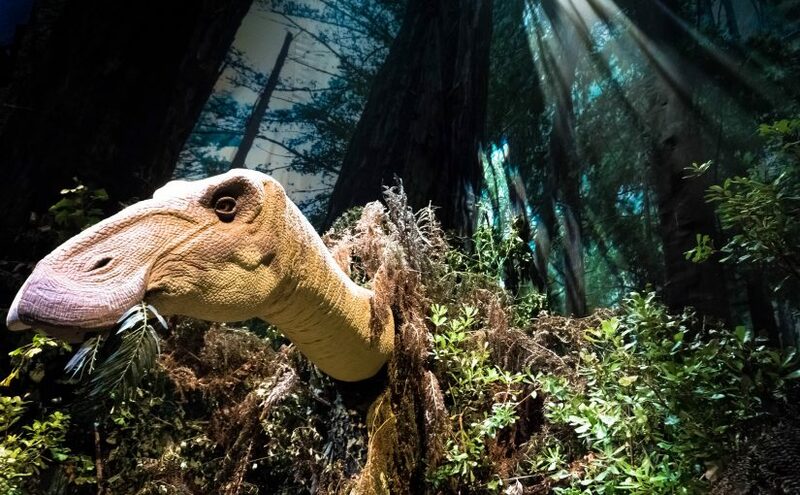 It’s not hard to find the dinosaurs: simply follow the crowd of excitable adults and the timid children trailing anxiously behind them. Once we reached the enclosure we met the dinosaur handler who asked the children whether they would like to meet T-Rex. Shaking their heads nervously they said no, but at his insistence that the T-Rex – despite his fearsome roar and his big teeth – wouldn’t harm them, they became more confident to come for a closer look. A low growl rumbled inside the enclosure causing a few littl’uns to scuttle behind their parents. Suddenly, with a loud roar, the doors parted and T-Rex burst into sight, sending small children flying in all directions. T-Rex twisted and turned, bounding towards the children who were making their first tentative steps towards him. Of course, T-Rex is not real, although for a moment or two you could be fooled so good are his mechanisms! Once the dinosaur ‘handler’ had him under control, he was actually very sweet, especially with the children who were still a little afraid. Before long, T-Rex led the children Pied-Piper-style through the park; their tears quickly making way for smiles. 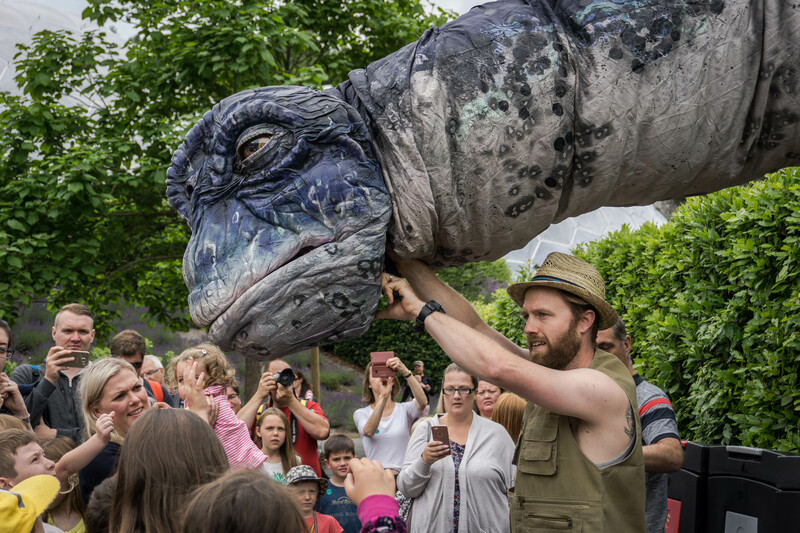 The ‘Dinosaur Uprising’ happens every summer at the Eden Project, and it gets bigger each time. This year, Triceratops and a Titanosaur (nope, I’d never heard of those either!) joined T-Rex, and there was also an indoor exhibition of dinosaurs from the land and sea. The models are really well done; so much so that I imagine I would have been pretty frightened of them as a child. The exhibitions are carefully constructed and informative. I visit the Eden Project every summer, and would highly recommend it as a great place for all the family. 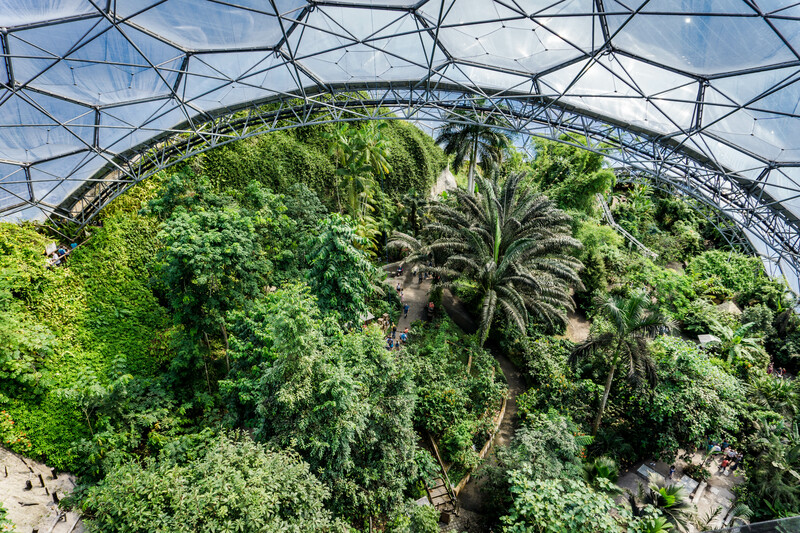 As well as meeting the dinosaurs you can wander through a Tropical Rainforest, walk along the Canopy Walkway, drink the juice of the Baobab tree, and sample some of the finest cuisine made from locally sourced produce. And there are some really great other places to visit in Cornwall too! If you enjoyed this post please tweet, share or stumble, and I’d love to hear your comments. haha i feel like I would be in heaven here. Omg!!! This place sounds like so much fun. I would love to take my nephew and niece here. 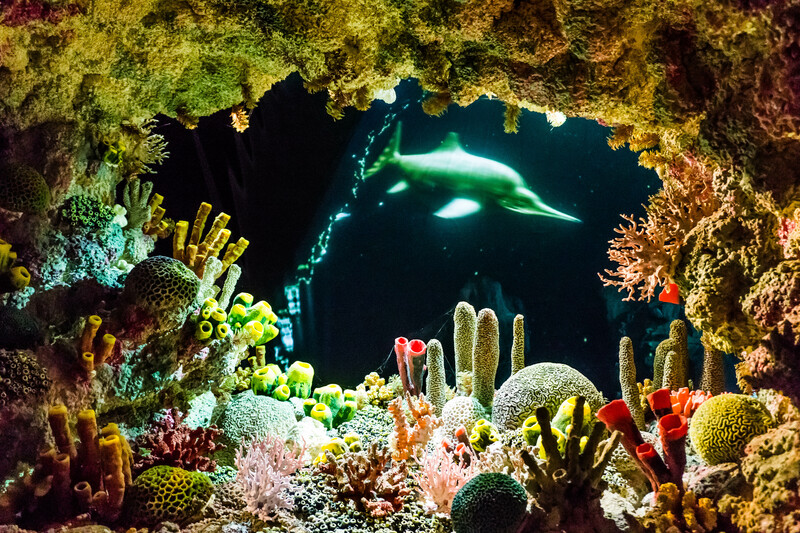 My nephews and niece really enjoyed it when they went – it’s great for the kids! Does it have dinosaurs on the menu?! This looks so fun! Now I wanna go hang out with dinosaurs. My boyfriend has been telling me we need to visit the Eden Project. It does look like fun, especially if you like dinosaurs. Woow! It is crazy that I have been there before and missed the dinos! 🙁 I visit the Eden Project with a school excursions and I loved it. Now I know I need to visit it again during the summer! 🙂 Great post! I think they only started doing it a few summers ago, and only in July/August. You’ll have to go back!